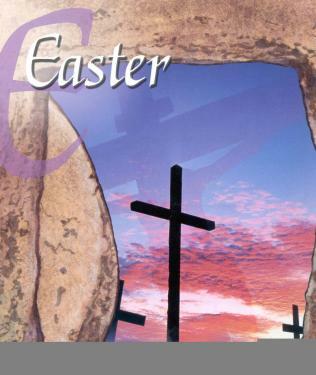 Cornerstone Blog: Thanking God for a Glorious Easter Sunday! Thanking God for a Glorious Easter Sunday! What a great day we had at Cornerstone yesterday, Easter Sunday! It was such a joy to see so many folks come together to praise and worship our Risen Savior - Jesus Christ! More than 15 men showed up at 5:00 AM or earlier to begin cooking breakfast. They cooked 46 lbs. of bacon! In our 7 AM Sunrise Service, we had 167 people who came to worship. We had one man pray to receive Christ into his life, taking his public stand for the Lord. No better way to conclude an Easter Sunrise Service! Our Fellowship Hall was filled for breakfast. We had to put out more tables and chairs. A big thanks to the men who cooked the breakfast and to our Youth who led the Easter Egg Hunt for children and also shared their faith with the adults as breakfast concluded. They did an outstanding job, and I was very proud of them. In our 10:30 AM service, 235 people attended to worship the Lord and to participate in our Easter Musical, "More than a Carpenter." Bro. Stan and the choir did an outstanding job of presenting the beautiful music and message in song. In all we had 402 people attend the two Easter services, and more than 200 at breakfast! Praise God for His goodness and for how He is working in the lives of people around us. Let us continue to join Him where He is working. As the angel told the women, "He is going before you into Galilee." The risen Lord goes before us and walks beside us and lives within us as we trust and follow Him. What an exciting journey life is when it's all about the glorious news, "He's alive!"